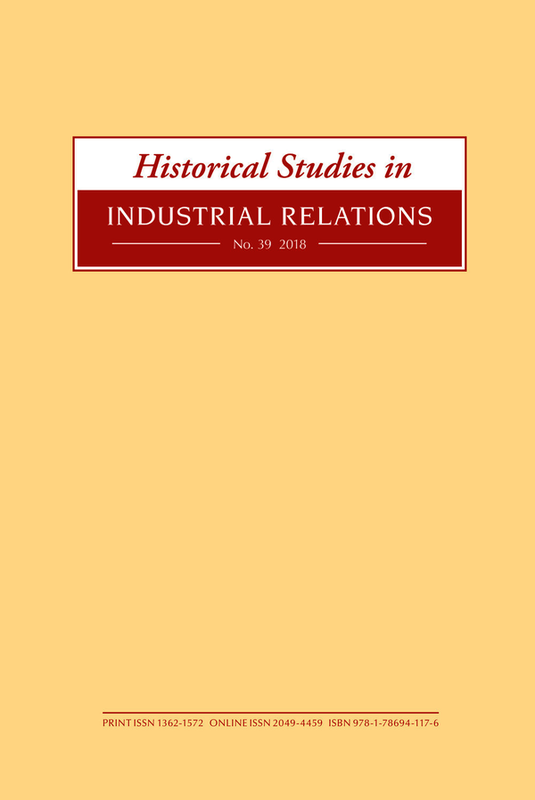 Historical Studies in Industrial Relations was established in 1996 by the Centre for Industrial Relations, Keele University, to provide an outlet for, and to stimulate an interest in, historical work in the field of industrial relations and the history of industrial relations thought. Content broadly covers the employment relationship and economic, social and political factors surrounding it – such as labour markets, union and employer policies and organization, the law, and gender and ethnicity. Articles with an explicit political dimension, particularly recognising divisions within the working class and within workers’ organizations, will be encouraged, as will historical work on labour law. Dave Lyddon, Keele University Paul Smith, Keele University.